Almost everybody who owns a vehicle has encountered at least once in their life the annoying event of getting stuck with a dead battery. It usually happens right when you need it the least and, of course, unexpectedly. It is a known fact that most people do not remember how old their car battery is, or until when it is approximately supposed to last. That is where we come in, so you will be able to keep calm, and keep moving. Being a part of the Huntington Beach community for many years, Mighty Towing Huntington Beach is available 24/7 to your satisfaction. We make sure that this uncomfortable situation is fully solved, professionally and quickly. Jump starting your car is just one of our many roadside services we are happy to provide to our Huntington Beach friends. We understand that sometimes a quick jump start is not enough to get your vehicle back on track. Sometimes, you need a whole new battery installed. That is why we are fully equipped regarding all auto parts and tools, in order to give you a complete service, on the road. We will be there for you with a 30 minute or less arrival time, with a replacement battery when needed, and with a fresh smile. 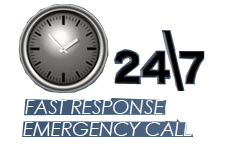 Do not hesitate to contact us at any time, at (714) 475 – 0297 and we will be there at your side, providing you with complete, professional, and affordable roadside assistance services. Minimal waiting time is our guide line, alongside with a professional and tidy work, which will make you forget you ever had a roadside hiccup.